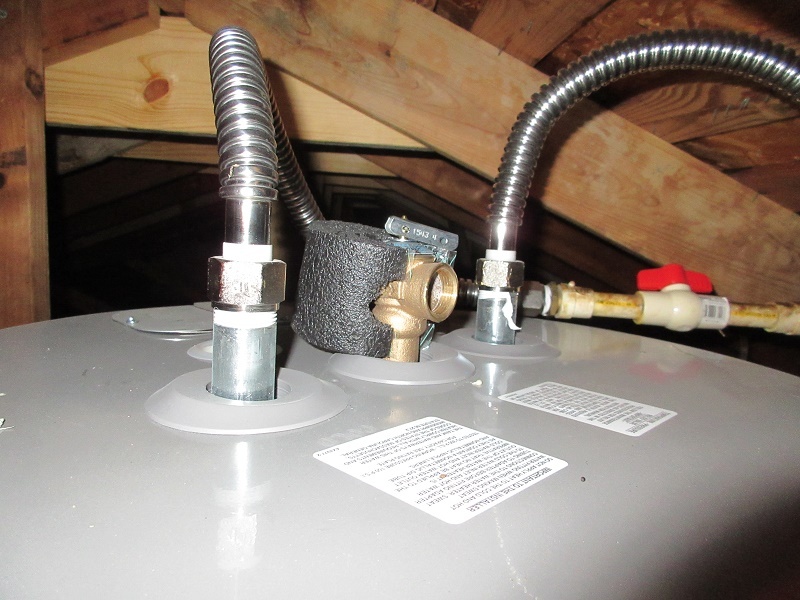 The water heater here was in the attic and did not have a T&P (Temperature and Pressure Relief valve) drain line for the T&P valve. If the valve discharges, it will let steam into the attic that can damage the home. The T&P valve must have a drain line that terminates properly to the exterior of the home.